I was on a quest yesterday to start making my own crackers. I saw a few ideas for some homemade Goldfish but I really like the Annie’s version of those. What I was really looking for was more of a puffy square cheese cracker. Here’s what I ended up coming up with. Warning, if you are a cheese addict like me you will not be able to resist the smell of these baking, yum! In a food processor, pulse the flour, salt, and butter. Add the cheese about a 1/2 c. at a time. Add the water a tablespoon at a time until it forms a chunky dough. Chill this dough for at least an hour or 2, or longer. Roll out the dough until it’s about 1/8 in thin. Cut into squares(or any kind of shape!) with a pizza cutter or cookie cutter. Bake at 350F for about 15 minutes or until slightly browned on the tops. Start watching them after about 12 minutes to make sure they don’t burn. That’s it! Cool before enjoying. You can also make these with All Purpose Gluten Free Flour for a gluten free treat. 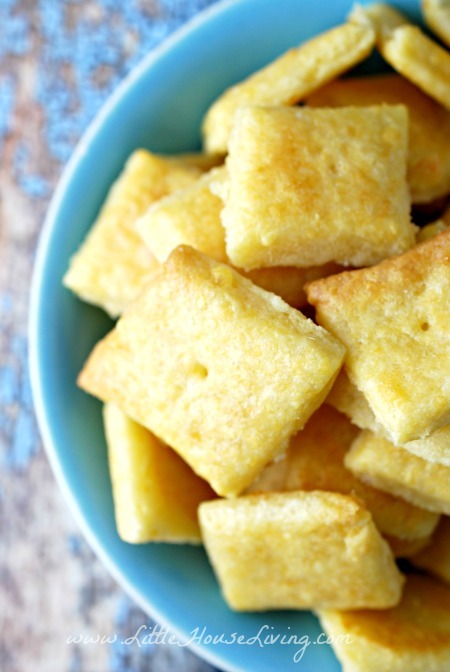 Want to try some more homemade cracker recipes? Here are a few! And of course if you need extra cheese to go with your Homemade Cheese Its you will want to make an easy Homemade Cheeseball too! 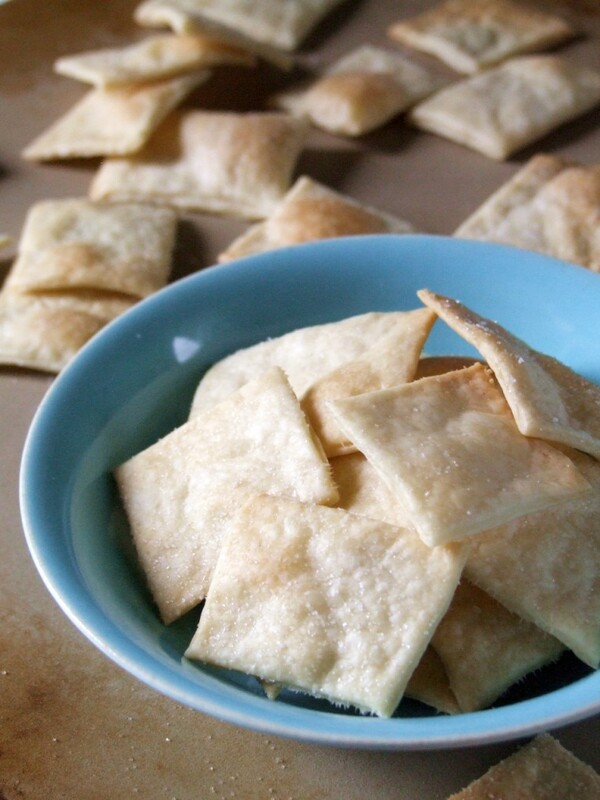 What are your favorite homemade cracker recipes to make? Just tried the recipe. Didn't have any cheddar cheese in the house, so I used a Mexican cheese blend. They came out so well. Surprisingly addictive. I made these today with my kids. We had fun & everyone loved them! Thanks so much! These would be great to experiment with! You could but in some spice for a little kick! yum! Just made them and they are so good and easy! Thank you so much. These are one of my favorite snacks. YUMMY! WE JUST MADE THE CRACKERS AND THEY ARE AWESOME! WE USED SHARP CHEDDAR CHEESE AND TURNED THEM OVER TO BROWN NICE ON THE UNDERSIDE FOR A FEW MINUTES AT THE END OF BAKING. IT WORKED WELL. DELICIOUS!! I’m excited! The kids will love helping me make these! Merissa – Have you tried storing these? I’d love to make up a couple batches and store them. Is an airtight container good enough? How long do you think they would stay crisp? Thanks! These don’t tend to last very long here so I’m not sure how long they will store. I do usually keep them in a bag or a container in the fridge though. I’m sure it will be fine, the processor is just to get the cheese to blend up and mix well with the flour and butter, but a mixer (or even a hand cutting tool) should do the trick. Hi I am addicted to cheezits! How could I reduce the fat in these? Thanks!! Hi Denise, I wish I could help but that’s not my area of expertise. Sorry! Works great with a mixer! 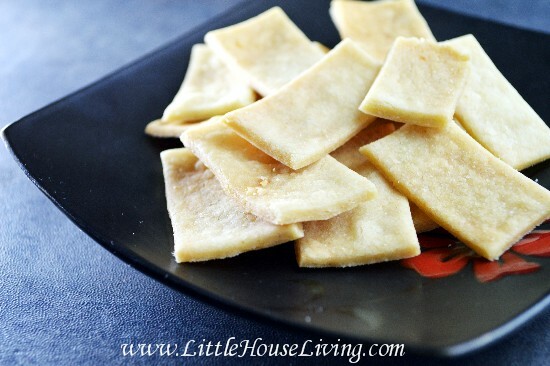 I made these crackers today and they are wonderful! I used colby cheese since that is what I had on hand. Thank you for sharing the recipe! I also made your gummy bear recipe today for my husband. It was super easy and a surprise for him when he got home from work. I’ve not tried oat flour before but I think another flour might work fine in here. If you try it let us know! Thanks! I just might have to try it out this weekend. My husband loves Cheez-Its but recently found out he has a slight wheat allergy. This would be great. I think it just might work. I hope you’ll let us know how it goes! Jamie, my daughter has a wheat allergy. I think I would use a mix like 1/4rice 1/4tapioca and 1/2oat flour. Otherwise it may taste like cheesy oatmeal! I have a great flour mix that I often use. I will try to post it later. If I wasn’t on a strict diet….I would so make these!!! Here it is! 25% rice flour, 25% amaranth, 50% oat. Hope this helps! My daughter has a gluten allergy. These are the flours that I have on hand: white rice flour, brown rice flour, soy flour, tapioca flour & potato flour. What mixture would I use and do I need to add xanthum gum to keep them from crumbling and do they need baking powder? Just getting started baking gluten free and not having a lot of success just yet. Thanks! I really don’t have any experience with baking gluten free, maybe someone else knows? Thanks! I’ll see what I can come up with. I’m glad you had good luck with it today Jaimie! These look great! I have tried other homemade crackers, but there wasn’t a lot of flavor in them. I have been looking for another recipe to try and this looks great! If you put 4 holes in the middle they would look just like a cheez-it, except way better for you. Can’t wait to try them! I am going to be making these today with my munchkins. We plan on making two batches. One with 1/2 sharp cheddar 1/2 medium, the other with pepper jack. I am excited to try these out!! so going to make these!!!!!!!!!!!!! Sounds great! I think I may have to try these with sharp cheddar, and then another with parmesan garlic, which is my favorite cheez-it flavor! Yum, let us know how they taste! Finally made some today—2nd batch is in the oven now!! This is a keeper. I have been wanting to make these for a long time and finally did today. Oh man, I love them. I had to put them away or I would eat all of them and I made a double batch! Thank you so much for all your great recipes you share with us. I have managed to “have to” make these 2 times in the last 4 days…why you ask? Because my 7, 4 year old and 36 year old “children”(okay so one is my husband…same thing right?) LOVE THEM…And so do I…not only are they amazing for a snack but I added a bit of chili powder and garlic powder for a bit of a kick…another bonus…I can pronounce EVERYTHING I am putting in my mouth unlike the boxed item where I feel like I’m reading a second language. Thank you for sharing this recipe…and to anyone not willing to take the time to make it shame on you…you will miss out on a very addictive, and tasty treat that will keep you away from the cracker isle at the grocery store forever! I made these yesterday for the first time, and they are amazingly good. Thank you for the recipe and very clear instructions. I cheated a little and used a pasta roller to roll the dough out evenly, and they turned out really, really good. Addictive and yummy! 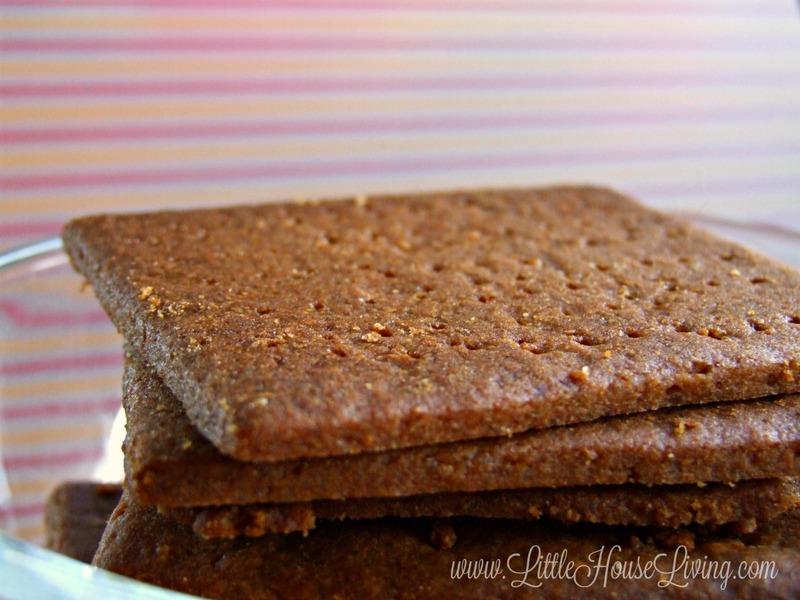 I tried a wheat cracker recipe a few days ago and, while they are ok, they aren’t great. I think I will give your recipe a shot. Do you use all purpose flour or some other kind? I noticed that there is no baking soda or baking powder in them. What makes them rise? Thank you for this wonderful website and awesome recipe. They sound so good and I can’t wait until I make the cheese crackers! Depends on how big you make them but maybe about 30 crackers? This homemade Cheese-It recipe is absolutely wonderful! Over the last year, I’ve cut back on store/boxed food for the benefit of my kids. Quick snacks like Cheese-it’s are one of my kids favorites. I made your version and could not tell the difference! Wonderful! Taste and smell just like the real thing. Tonight, going to try to make it with whole wheat flour. Thank you. Hi Just wondering if anyone has made up extra dough and put it in the freezer? I tend to do that with some cookie dough recipes. Was wondering if it was possible?? We just made these the other night and they were AMAZING! My daughter loved making making her ‘favorite snack’ as she calls it and loved checking on the oven every 2 min! Super easy to make if you are thinking about making them stop thinking and just do them! To the comment above me- Colleen I didn’t freeze mine, but I let half of the dough in the fridge for over 8 hours and still tasted great. Quick tip from making lots of crackers over the years: if you roll out the dough directly on parchment paper you can cut and bake it all in one step without trying to transfer thin dough. How do I store these and for how long are they good? They look yum! I keep these in the fridge in an air tight container or bag and store them no longer than a week. They might be good for longer than that but they won’t taste as fresh. What type of food processor do you have? I currently have a Veggie Bullet that has a processor, slicer, and spiralizer attachment. I love making my own crackers, but we haven’t done it in a while. I think I will have to get on that. THESE look totally delicious….going to definitely try! Would LOVE if you’d share at Reader Tip Tuesday. Sounds so easy! Why have I never tried these?! 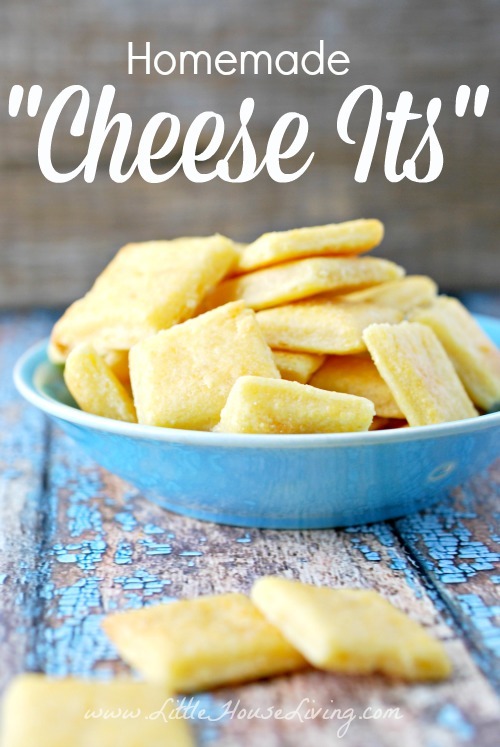 Cheesy snacks are some of my favorite – I should give these a try! Thanks for linking up with Merry Monday this week! I could eat Cheese It’s all day long! I can’t wait to make my own. Thanks. So good! I added just a pinch of cayenne. Also used Cabot’s “Seriously Sharp” cheddar. And, no, like others point out, no need to store these – the family devoured them! Thanks so much for sharing this recipe. So glad that everyone enjoyed them!